My last blog discussed the increasing prevalence of mobile technology in the healthcare field. As the usage of smartphones and tablets increases, it’s becoming increasingly clear that the future of mobile technology in healthcare lies in adaptable mobile apps. But what exactly is an adaptable healthcare mobile app? And what can they do for healthcare facilities? Simply put, an adaptable mobile app is an app designed specifically for use within a hospital or other healthcare facility, which is customized to the end-user’s needs, roles, and responsibilities. In the case of AdaptiApps for Healthcare, it also links to the hospital’s infrastructure and is designed to improve patient satisfaction and staff efficiency. It’s a flexible application which can serve a variety of functions, depending on who’s using it. Though all of the information in the app is stored in the same system, access to that information is based on the permissions for each specific user. When considering your options for adaptable healthcare mobile apps, decision makers should look for the following top three qualities. User-defined – customized for your target audience. An adaptable app is defined in large part by its flexibility and usefulness for multiple audiences. As such, it should present each user with only the information and controls that they need to use. For example, patients should have access to screens which allow them to request help from nurses, cleaning, or food services, while facility managers should have a personalized dashboard linked to the building management system, and real-time information about building status, energy use, and alerts about system malfunctions and maintenance. An effective adaptable app will make patients’ needs more visible to hospital staff and can even be used to speed patient care by alerting staff when a patient has been left waiting too long or notifying the closest cleaning staff to turn over the room once the patient has been discharged. In addition, an adaptable mobile app can enable staff to make better use of their time. 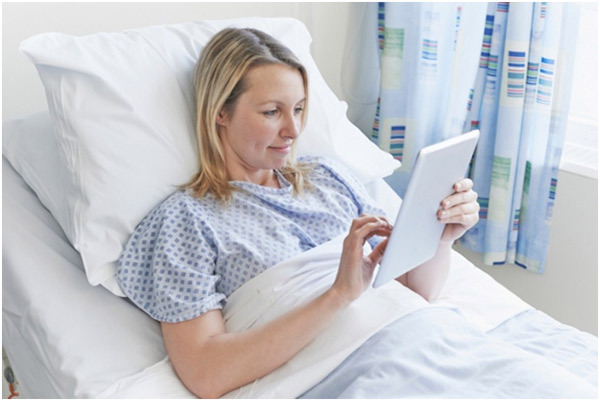 For instance, with the patient edition of the AdaptiApps for Healthcare, patients can use their bed-side tablet to modify their own room temperature, close or open window shades, turning lighting on and off, and control their television. Without the mobile app, patients would likely call the nurse to do these things for them. But why have nurses spend their precious time doing tasks that the patient would likely prefer to do on their own, particularly when those nurses could be using that time to provide clinical care instead. This variety of functions holds the promise of big benefits for adaptable mobile app users; our next blogs in this series will explore these benefits in greater detail. Download our white paper about adaptable mobile apps to read more about what makes a good adaptable app.